The closest free anti-foreclosure assistance for South Florida residents. We help people avoid foreclosure and never pay the bank one red cent… Since 2001. Find out how one client walked away from their home with $30,000 in cash from the bank! Take advantage of the new government programs. Pay zero fees for short selling your property. Qualify to receiving money for moving costs. Stay in home, if you like, during the short sale process. We’re here to help you to know where you stand, and what your options are – so you can make the best educated decision. Foreclosures cost money, lots of money. There are attorney’s fees, court filings, lost income, real estate agent fees, property preservation expenses… you get the idea. A short sale is a math problem for the bank. If they lose less money by working with the owner on a short sale (they almost always do) then they will do the short sale. Should I wait for a foreclosure instead? Both the foreclosure and the short sale will have a negative impact on your credit. 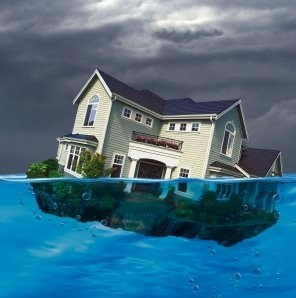 Some estimates are the foreclosure will reduce your FICO score by as much as 100 points more than the short sale will. Not to mention that in a foreclosure you have no control over how long it is before you move on with your life. Foreclosures can take years to process and during that entire time you can not put the episode behind you and move forward. What tax implications are involved in a short sale? Taxes are very different for every individual in the United States. It’s important that you consult a tax adviser about your specific circumstances. What banks participate in short sales? Since short sales are a way for banks to reduce their losses nearly every bank participates in them. Since 2001 we have successfully completed short sales with most of the major banks, Chase, Citi, Bank of America, GMAC, Ally, Wells Fargo, HSBC, PNC as well as many smaller community and regional banks such as BB&T, Washington Savings and many others. How do we start the short sale process? Fill out the form above and one of our short sale specialists will be in touch with you to explain the process, discuss your options and get things started. What documentation do I need for a short sale? In many cases we can complete a short sale with minimal documentation. However, you should be prepared to produce tax returns, W-2′s bank statements, a break down of your personal expenses as well as other financial documentation. The answer to this question is it depends. Our team of experts will always ask that the deficiency judgement is waived in states where it is legal for the bank to pursue one. To date we have had great results with this but there is no guarantee that it will be, or can be waived. The bank will specify when they provide the short sale approval. In some cases they do not waive the judgement but do not pursue it either. Can I do a short sale with a second mortgage? Working with a second mortgage presents unique challenges, even if the second mortgage is with the same bank it may not be the same investor behind the loan and their requirements for a short sale may differ from the first mortgage. In general, if a property goes to foreclosure the second mortgage receives no money for their debt and the time they have to collect from the homeowner is limited. It is usually in the second mortgage holders best interest to accept a settlement in the form of a short payoff and they recognize this. Can I do a short sale with a bankruptcy? A bankruptcy does limit your options and like taxes each is different. If bankruptcy is something you have filed or our considering it is best to seek competent legal advise. We will gladly refer you to an attorney that can assist you with these questions if you do not have one already. Many of our successful short sales have been for owners of investment properties. In the past we have had short sales take years to complete but that was in the past. Most of our short sales are completed within ninety days now. Some still take longer but we have had approvals from banks within hours of submitting paperwork in recent transactions. Sometimes, even in the middle of the short sale, a bank may offer the home owner the opportunity to forego foreclosure and simply sign their deed over. Generally the bank wants to see that the home has been marketed for some period of time. When they offer, particularly if it is an unsolicited offer, you as the home owner are in the driver’s seat. It is a good opportunity to make the best of an otherwise bad situation. An example of this would be getting the deficiency judgement waived. Should we stop making payments to do a short sale? It is true that short sales are easier to complete if you have a hardship but there are hardships that allow you to still make your mortgage payments all the way to the date of settlement. A job transfer, some medical issues, and other life changes are things you may be able to see coming far enough in advance to relieve the hardship of your mortgage before you have to miss a payment. If you can make your mortgage payment you should. What is the difference between a loan servicer and investor? The bank, or entity you make your payment to may not of put up any money for the purchase of your home. Commonly referred to as the secondary mortgage market (think Fannie, and Freddie) investors are those funds on wall street that actually write the check. Usually these are large institutional funds, your retirement fund may be your mortgage. In many cases the bank that processes the payments can make the final decision regarding your short sales but in some cases the investor has final say. Each investor has different rules so the short sale terms your neighbor received from bank of america may not be the same short sale terms you receive. Our short sale team has been around long before most agents in the business had heard the term. Don’t risk listing your home with a rookie. Contact the experts by filling out the form above today. We can gladly assist you with a short sale in Pembroke Pines, Miramar, Hollywood, Fort Lauderdale or anywhere else in Miami/Dade County. Don’t get caught unaware. Contact us today. Looking for even more information on Short Sales in South Florida?